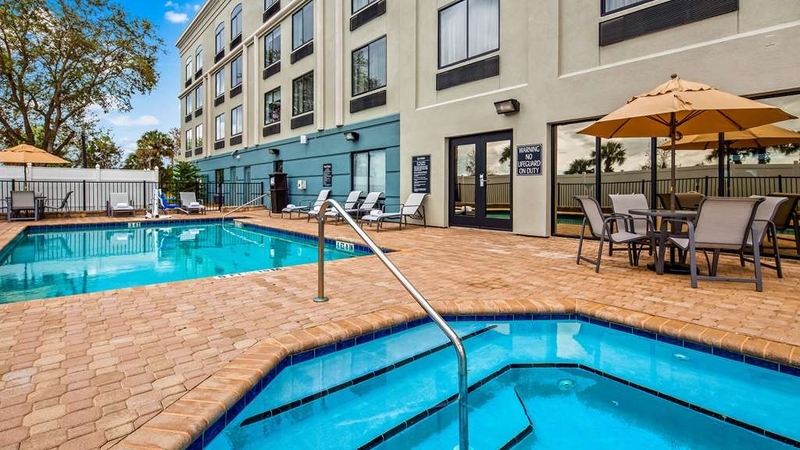 Das Best Western Plus St. Augustine I-95 ist ideal in Saint Augustine Stadtzentrum zu finden. Erleben Sie ein schöner Aufenthalt in der Nähe von alle Sehenswurdigkeiten. Bestpreisgarantie und exklusive Angebote. Dieses Hotel in St. Augustine, Florida, bietet eine großartige Lage, in Reichweite zahlreicher regionaler Attraktionen, Ausflugsziele und Veranstaltungen. Die Gästezimmer wurden modernisiert, und das freundliche Personal sorgt dafür, dass Sie sich wie zu Hause fühlen. Die Zimmer bieten Flachbildfernseher, kostenloses drahtloses High-Speed-Internet, ein eigenes Bad sowie Kaffeemaschine, Haarfön, Schreibtisch und mehr. Entspannen Sie sich in unseren neuen Queensize-Betten mit extra gepolsterter Auflage, oder wählen Sie eines unserer geräumigen Kingsize-Zimmer. Beginnen Sie den Tag mit einem kostenlosen kompletten warmen Frühstück, genießen Sie ein Bad in unserem Swimmingpool (im Freien), entspannen Sie sich in unserem Wannen-Whirlpool oder trainieren Sie in unserem Fitnessstudio. Nutzen Sie unser Business Center im Foyer zum Arbeiten oder für Privates. Beim Erwerb eines Tourpasses bieten lokale Sightseeing-Touranbieter einen kostenlosen Transfer vom Hotel zur Altstadt. Zwei Fabrikverkaufszentren sind weniger als 2 km entfernt, und Ausflugsziele wie das Castillo de San Marcos in St. Augustine, Ripley's Believe It or Not®, der „Jungbrunnen“ des Ponce de Leon sowie die Alligatorenfarm von St. Augustine sind nur wenige Minuten entfernt. An nahe gelegenen Stränden können Sie schwimmen, surfen, Haizähne und Muscheln suchen oder Tiere beobachten. Benötigen Sie einfach ein Bett für die Nacht? Wir sind der ideale Zwischenstopp auf dem Weg nach Daytona Beach, Orlando und Süd-Florida oder zu Zielen im Norden. NASCAR® Daytona 500, Bike Week und das Biketoberfest in Daytona sind nur 45 Minuten entfernt. Attraktionen wie die World Golf Hall of Fame mit IMAX®-Kino und die PGA Tour Golf Academy liegen an der nächsten Abfahrt im Norden. Kennen Sie dieGolfplätze „The Slammer & Squire“ und „The King & Bear“?Reservieren Sie noch heute zu einem günstigen Preis im Best Western St. Augustine I-95, und erleben Sie einen großartigen Aufenthalt in der „ältesten Stadt der USA“, mit nahe gelegenen Restaurants, Geschäften, Attraktionen und einer umfangreichen Ausstattung! Wir wünschen einen schönen Aufenthalt. This hotel was very hospitable and extremely clean. The hot tub was where it was at! 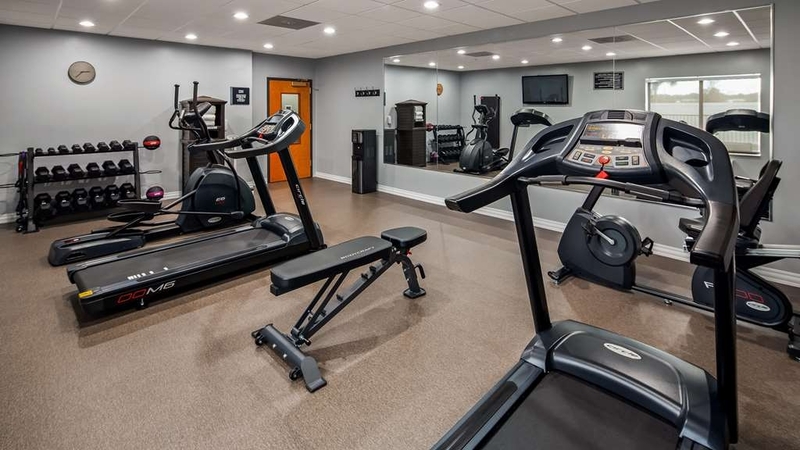 The gym could have a bit more equipment but who really exercises on their vacation!? The receptionist even price matched and allowed us to check in a couple of hours early. The beds were surprisingly comfortable and not like the blocks I'm used to sleeping on. This place went the extra mile at every turn. Even the breakfast attendant was friendly and very attentive. Definitely will come here again the next time we want a getaway to St. Augustine. Dear Ernie, It was an honor hosting you at Best Western Plus St. Augustine I-95! 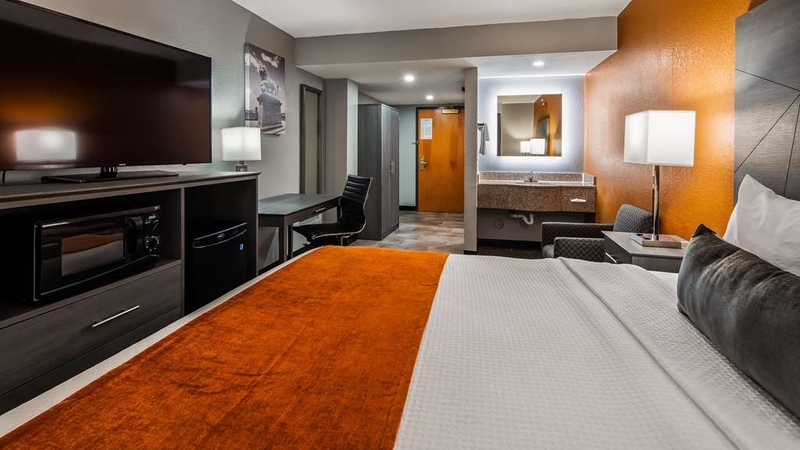 We're thrilled our clean, comfortable rooms provided you with the ideal place to rest and that our location was perfect for your trip. Thank for your sharing how much you enjoyed the hot tub as well as for your feedback about the gym. We'll consider it for future updates, and we look forward to seeing you again soon. Rooms were clean and updated.. the bed and pillows very comfortable....the bathroom was immaculate....Excellent customer service provided by clerk at the checkin desk....Hotel was in a great location near freeway and located near food outlets...breakfast was good and attendants were helpful and on the job...Had a great night sleep and that's what counts...Will make this a regular stop. Thank you so much for posting a review about your pleasant stay with us here at Best Western Plus St. Augustine I-95! It pleases us to see that you enjoyed our welcoming rooms, comfortable beds, clean bathrooms, and excellent service. Also, we're happy to hear that you enjoyed our convenient location. We're grateful to learn that you'll be returning in the future and would be delighted to serve you again soon. Dear Angela, It was our pleasure to be the clean and comfortable stopover you and your daughter needed on your way home! We are happy you rested, and we hope breakfast gave you the energy you needed to continue your travels. Count on us anytime you're passing through! rooms seemed to be updated. Breakfast was good with eggs and sausage as well as cold items. Check in was efficient. We did have a problem with our toilet but got it working for our stay but told the desk that it needed fixing. Walkable to Ruby Tuesday. Dear Barbara, It was such a pleasure to host you here at Best Western Plus St. Augustine I-95, and we thank you for taking a moment to share your experience. We're thrilled to know that our efficient check-in, modern rooms, and delicious breakfast were a few positives of your time with us. Also, thank you for sharing the concern regarding your toilet; our maintenance team was dispatched to address the issue. During your next trip to the area, we look forward to providing another convenient location, come back soon! Havent stayed in a best western in years. My stay here was awesome I didnt run into any staff member that didnt have a smile on their face and a warm greeting. The hotel is super clean and decorated lovely. A great stay! Thank you for choosing our hotel, and for taking the time to write a review! 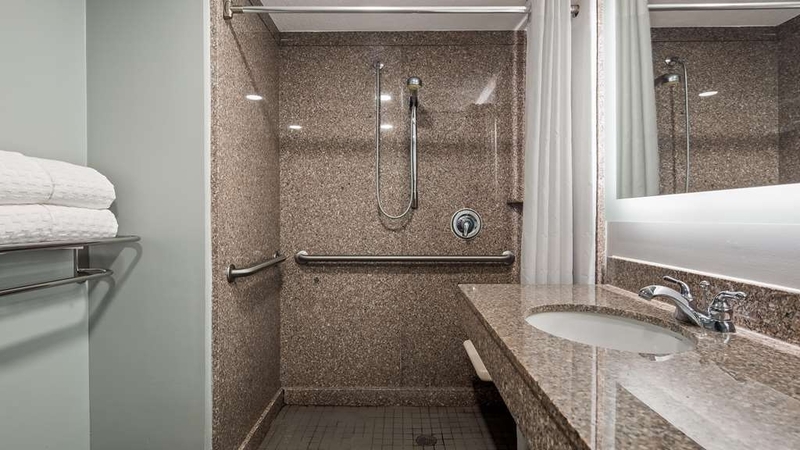 We are so glad to hear that you enjoyed your accommodations, as well as our welcoming staff! Our hotel aims to provide a truly unique experience, and we are thrilled that we were able to exceed your expectations. We look forward to welcoming you back to our hotel in the future. Come back soon! My husband and I debated about whether to stay in a Best Western on our list recent trip, but we were very pleasantly surprised! This St Augustine Best Western featured a squeaky clean room, friendly staff, and a well-maintained breakfast area. Very good experience! We will definitely try Best Western next time we travel. 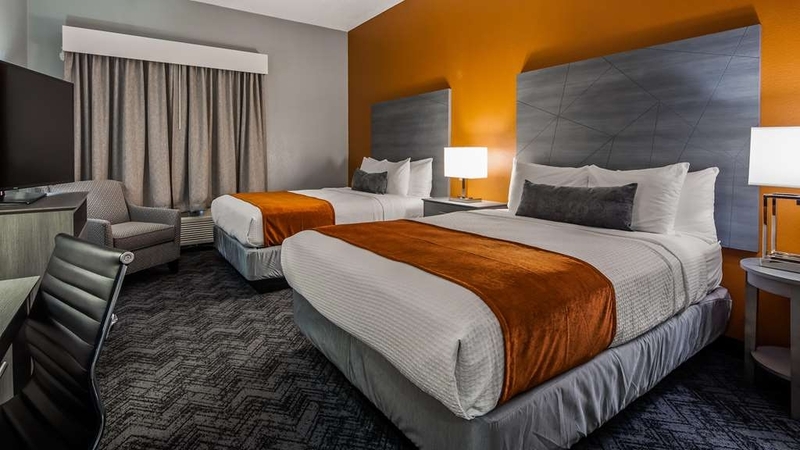 We're thrilled to have been able to host you and your husband here at Best Western Plus St. Augustine I-95, and we thank you for taking a moment to share some feedback on your stay. 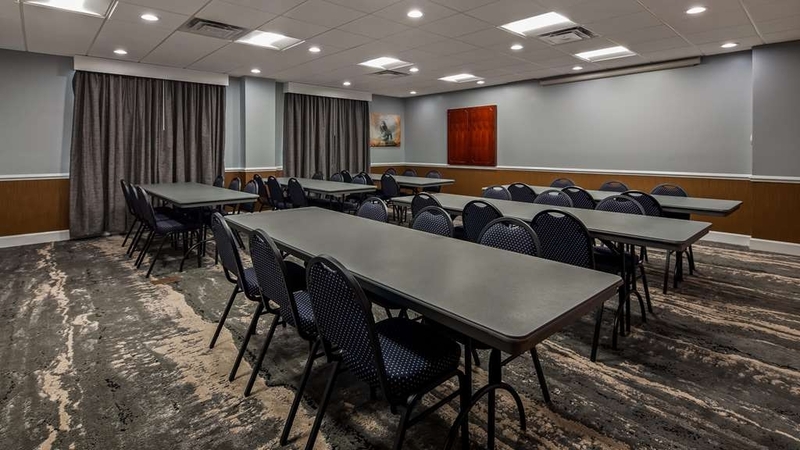 It's great to know that our well-maintained breakfast area, friendly staff, and clean rooms exceeded your expectations. 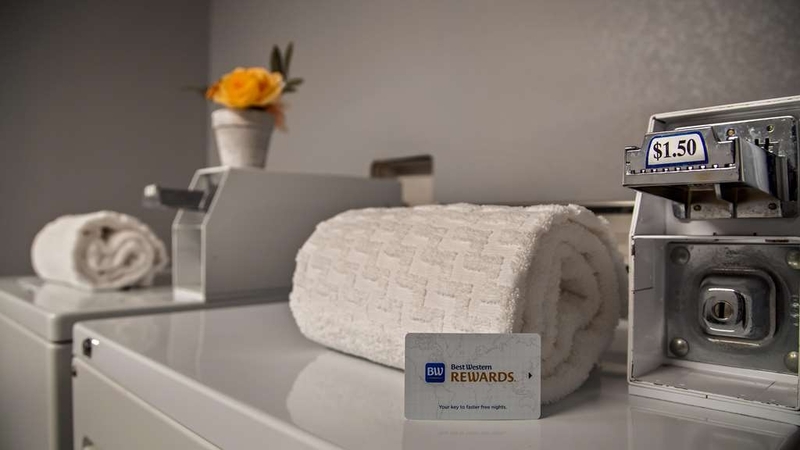 We can't wait to pass along your compliments to our hardworking team, and we look forward to sharing another five-star stay when your journey brings you back our way! 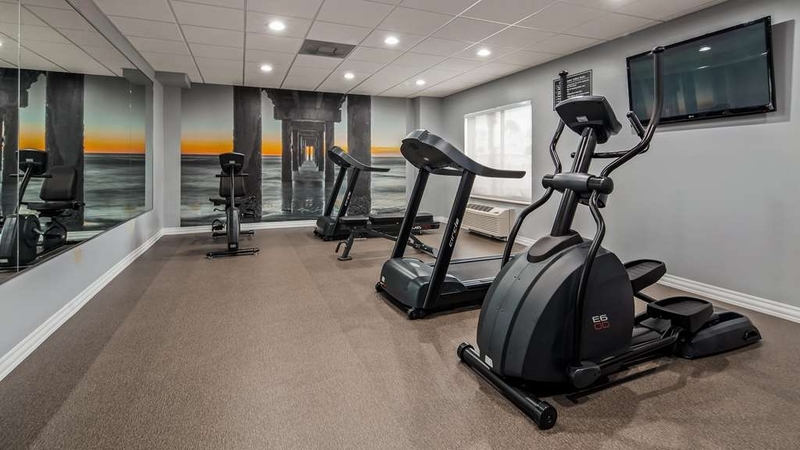 "GREAT UPGRADE FROM LAST YEAR"
My wife and her friends have stayed in this facility for 3 years in a row on their way to Disney and they were delighted. 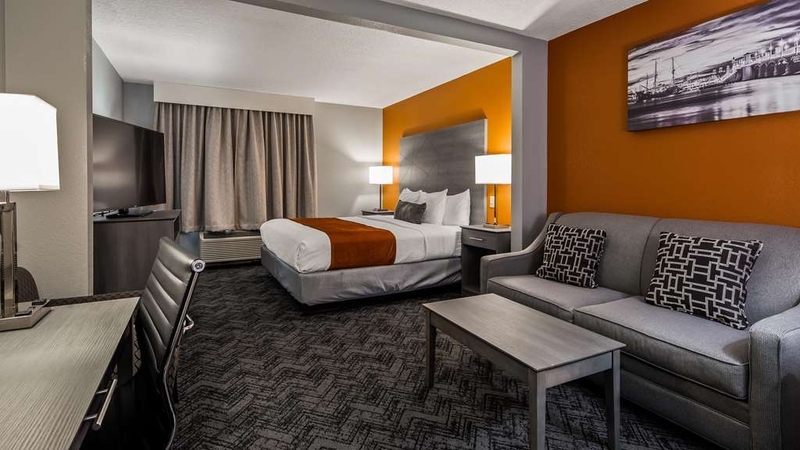 THEY WERE VERY PLEASED WITH THE ROOM, STAFF AND ALL THE UPGRADES BY BEST WESTERN PLUS. THE breakfast was excellent and staff recommended an Italian restaurant nearby where the food was wonderful.They will be back to stay on their December trip. Dear Lorraine, We're proud to include your wife and her friends among our frequent guests. It's great to know that upgraded rooms and excellent breakfast menu suited their tastes. Our wonderful staff looks forward to hosting you again at Best Western Plus St. Augustine I-95! On our trip to North Carolina we selected this hotel due to free Wi-Fi, free parking and complimentary breakfast so we were able to continue our route right after breakfast.The room was clean and complimentary toiletries were available. Thank you for choosing to stay at the Best Western Plus St. Augustine I-95 during your recent travels. 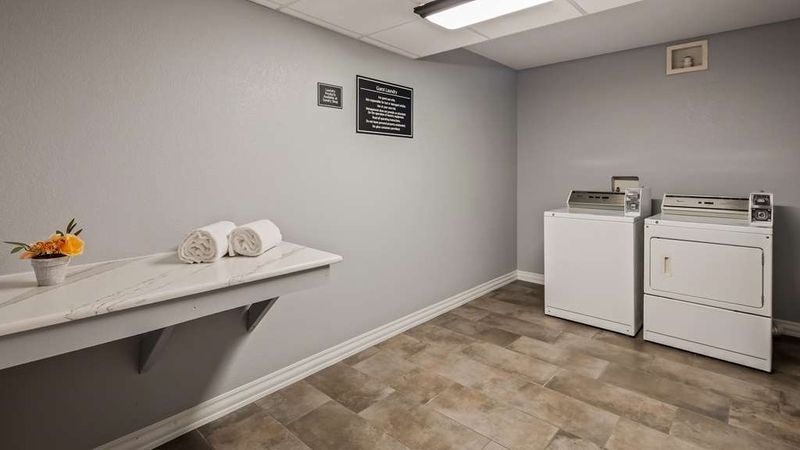 It brightens our day to hear that our amenities were ideal for your time with us, and we're so glad your room was clean and convenient. We wish you safe travels and can't wait to see you again next time you are in the area! We stopped here on our way back up North. Very nice property. We did not take in the local tours or attractions. But saw enough to plan a few days here next year. Nadine, who was working the breakfast area was very pleasant and nice to talk with. Our room was clean, large and had a BIG television, not expected for a hotel. Probably a 42”. The parking lot lighting is excellent. Something you would see at a car dealership. Making it safe your vehicle and contents. Thank you so much for the five-star review! We are glad that you enjoyed your clean room and it's amenities. We will be passing along your praise to Nadine as she will be delighted in receiving your kind words. St. Augustine is a wonderful place, and we cannot wait for you to come back and experience what the oldest city in the U.S. has to offer. 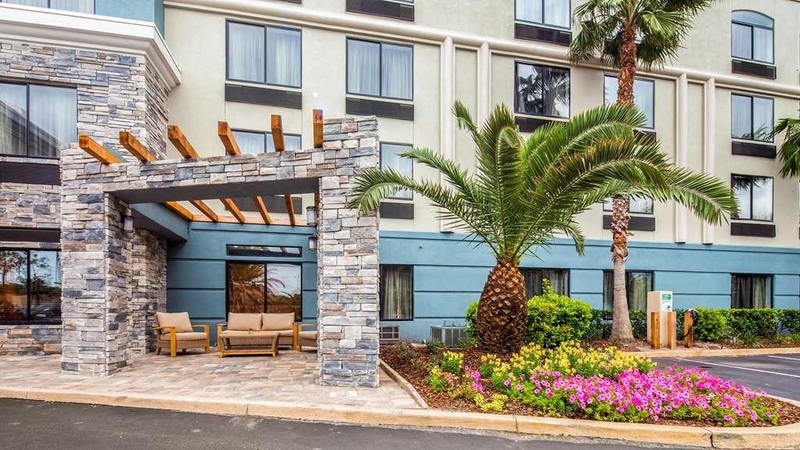 We look forward to seeing you again and providing you with another five-star stay here at Best Western Plus St. Augustine I-95! "Great place for the money!" The hotel is very clean, the staff is nice and they provide a full breakfast. Remodeling paid off and there is no bad smell. The color decor is beautiful and the beds were very comfortable. The water pressure was good for the shower. I would stay here again! 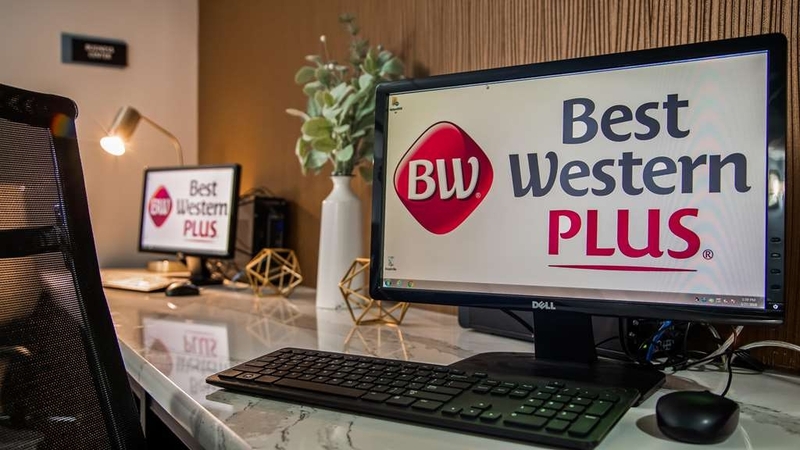 Dear Sharon, We always strive to deliver outstanding value here at Best Western Plus St. Augustine I-95, and it is a pleasure to know that our clean facilities, welcoming staff, and comfortable accommodations met the mark! It sounds like breakfast left you full and satisfied as well, and it is a great compliment indeed that you want to join us again. Much appreciation for your review, we'll be waiting patiently to serve you again! Very disturbed staying at this hotel for 3 nights! I had blood in several spots of my room, my room phone hasn't worked for my 3 night stay despite my letting front desk know of the issue. Our AC only worked half the time and our room was extremely hot which was not pleasant for my 10 month old baby to sleep in! We had a safety hazard in the room that my wife sliced her toe on the blend between tile and carpet. We were excited to stay here after reading such great reviews but given all of the above we are very saddened to have stayed here! Dear Zac, We're distressed to hear about your experience. Please accept our apologies for any concerns about the room as well as for any issues with the phone and AC. It's unfortunate we were not able to remedy these while you were here. Feedback like yours helps us improve, and we'll look into your comments further. 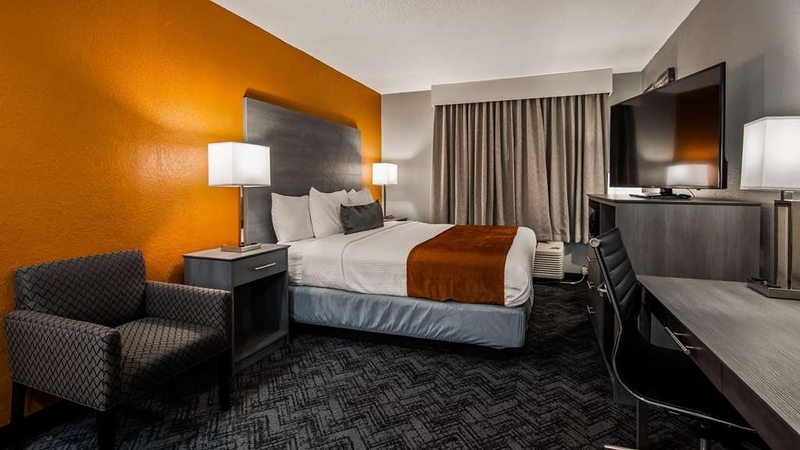 Should your travels bring you back to the area, we'd be grateful for the chance to offer you accommodations that are more in line with your expectations. 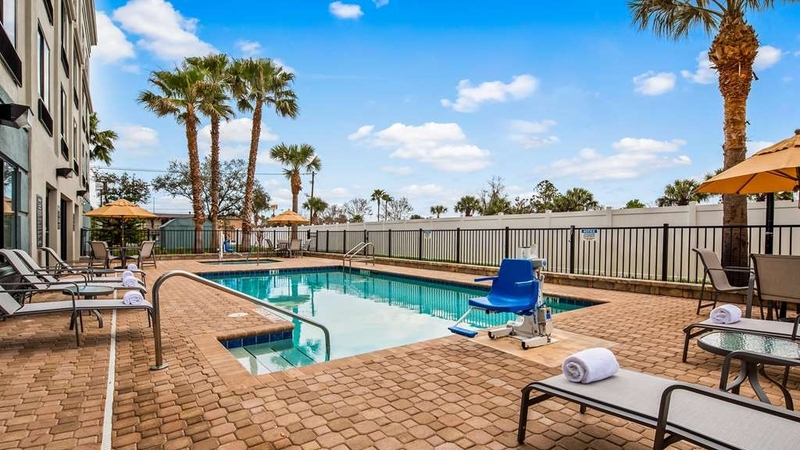 It's wonderful to hear that you enjoyed a great stay at Best Western Plus St. Augustine I-95! We're thrilled that you loved everything from our free breakfast to our well-appointed accommodations. Thank you for choosing to stay at our hotel and for taking the time to review your stay. We cannot wait to welcome you back on your next trip! This was the first Best Western Plus I stayed at, and have to say, I was very impressed. Very Clean, Well appointed, large room. The staff were friendly, breakfast area was clean and well serviced. 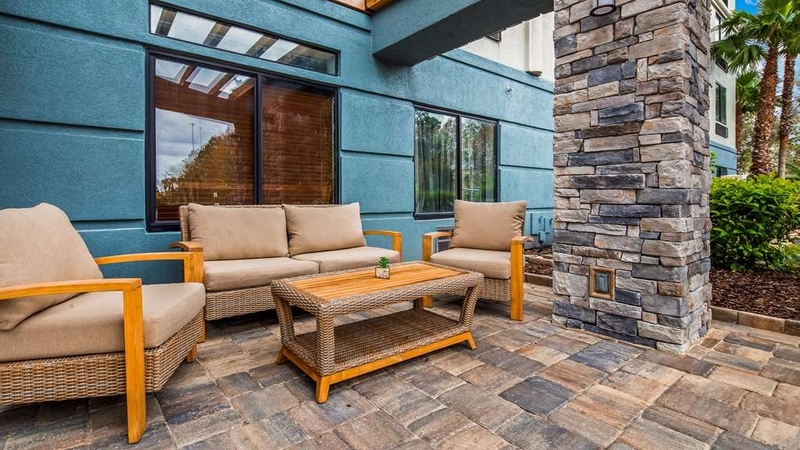 Right off the highway, and walking distance to several restaurants. Dear Keetu, Thank you for choosing to stay at the Best Western Plus St. Augustine I-95 during your recent travels! 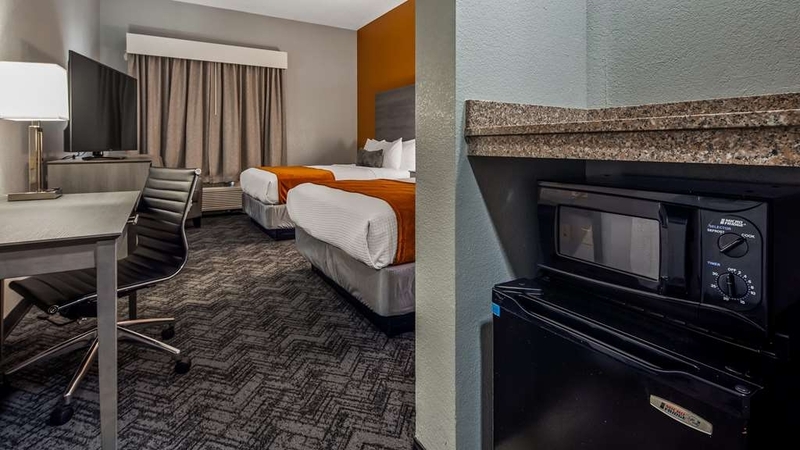 We're thrilled to hear that your accommodations were clean and spacious, and we're so glad our location was ideal for your time in the area. We're happy that our team provided excellent service as well. It would be wonderful to see you again soon! 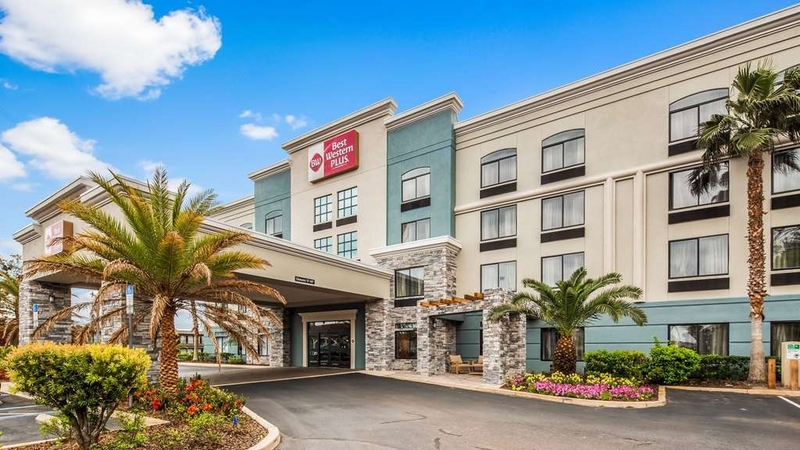 Had a nightmare of a night driving around trying to find a room after the Wyndam Travel Lodge in Jacksonville denied our paid, confirmed reservation. Had to drive another hour to find this place. LaToya at the desk was super nice and gave us a room. The free hot breakfast was great. The lady attending the breakfast station was super accommodating and responsive. She was also mopping the floor afterwards and you could tell she took pride in her work. The place was spotless. Def recommend this place. We sincerely appreciate you taking a moment to share your recent experience with us here at Best Western Plus St. Augustine I-95. 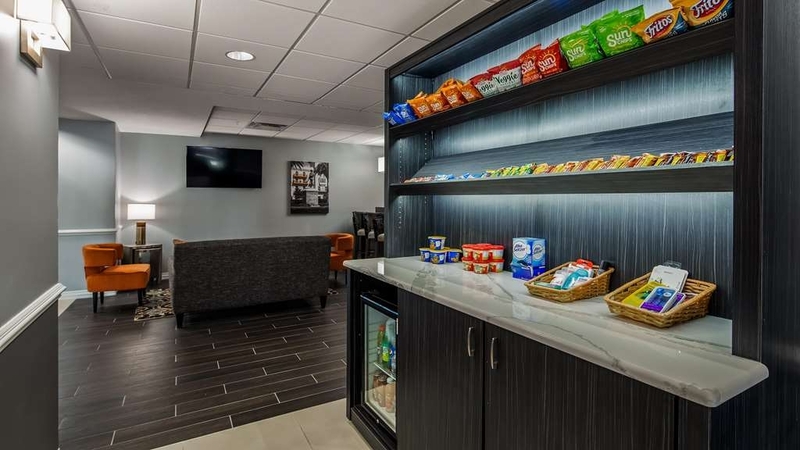 It's fantastic to know that our friendly staff was able to deliver you the refreshing stay you deserved after a long night of traveling, and we're proud to learn their service was a highlight of your visit. We're also glad to know that our complimentary hot breakfast helped you to get your day started, and we can't wait to share your compliments with the team. Come back soon! This hotel is right next exit to the World Golf Hall of Fame and State street takes you straight into old town St. Augustine. The rooms are nice and clean and they have a great breakfast. We really enjoyed the 2 night stay! It was a pleasure having you stay with us here at Best Western Plus St. Augustine I-95. We are glad you liked our location close to the World Golf Hall of Fame and the historic district of St. Augustine. Our team is thrilled that you had a fantastic visit in your clean and comfortable room and that you found your breakfast delicious. Should your travels bring you back to the area, we look forward to you staying with us again. 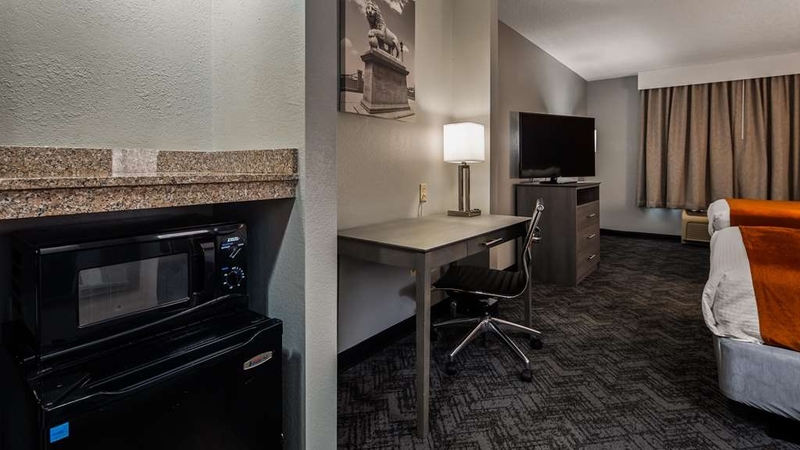 We can't thank you enough for your recommendation of Best Western Plus St. Augustine I-95! 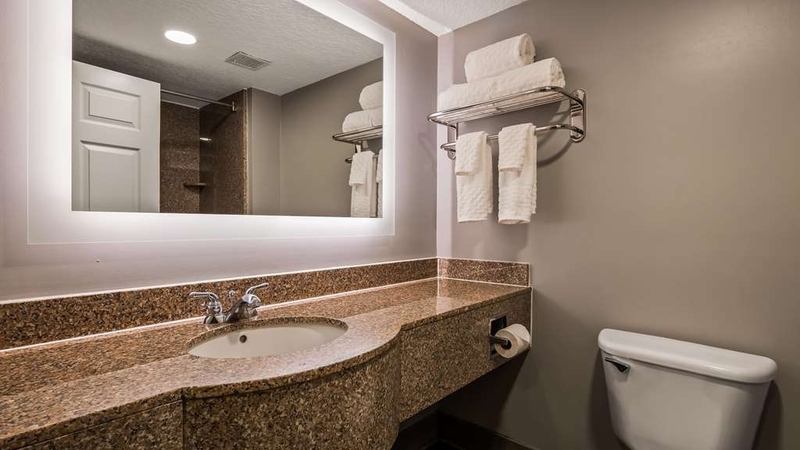 It is a delight to hear that our location was perfect for your time in the area and your generous compliments on our staff, accommodations, and amenities make us proud. Come back anytime for another flawless vacation! The front desk clerk was very helpful.The room was nice, clean, and quiet. There was a very wide selection of breakfast foods. The buffet was kept neat and full. The food was very good. The dining area was well kept. 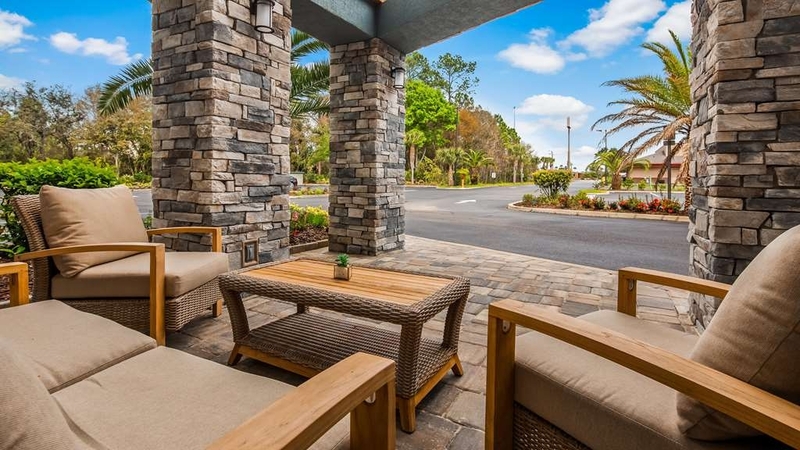 Dear Barbara, Our team at Best Western Plus St. Augustine I-95 was excited to accommodate your last minute travel plans! 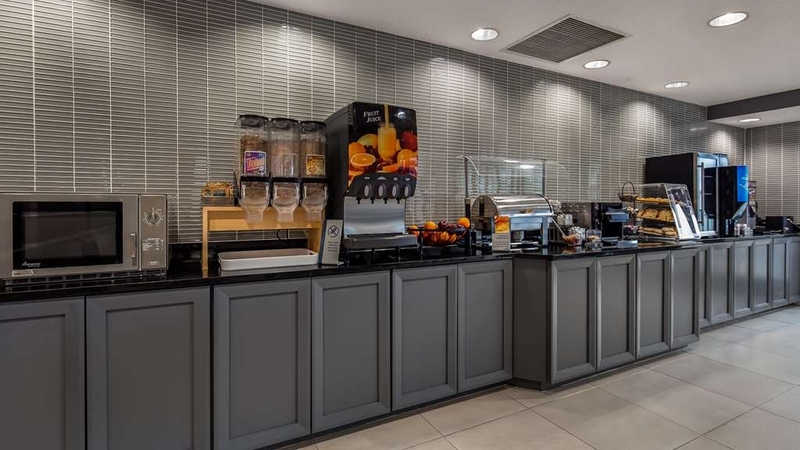 Thank you for letting us know that you had a clean and restful experience, and it sounds like our breakfast buffet got your day off to a satisfying start. Should your travels bring you back to St. Augustine, let us take care of you again! 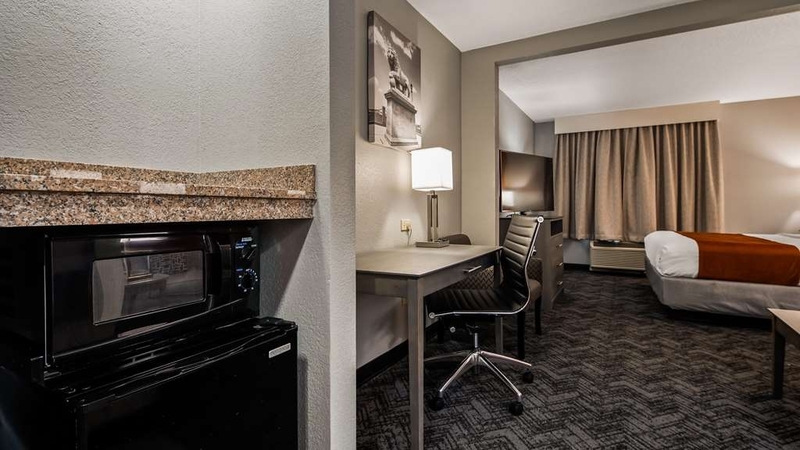 We usually stay at the Marriott or Holiday Inn Express, they both were booked out, last minute we chose Best Western Plus. We were pleasantly surprised at the renovation that had taken place, like a new hotel. We definitely will stay there again and the breakfast was amazing, fresh, great hot breakfast. 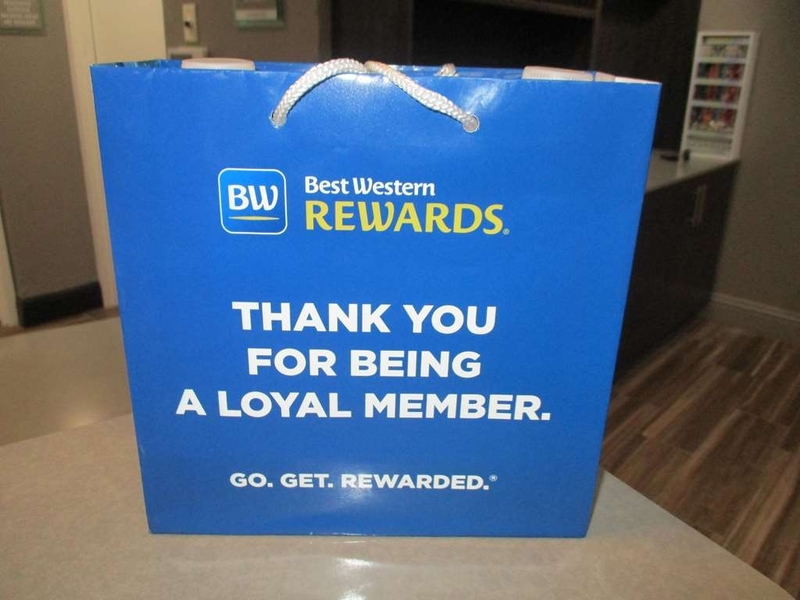 Thank you Best Western Plus! Thank you for your five-star feedback! 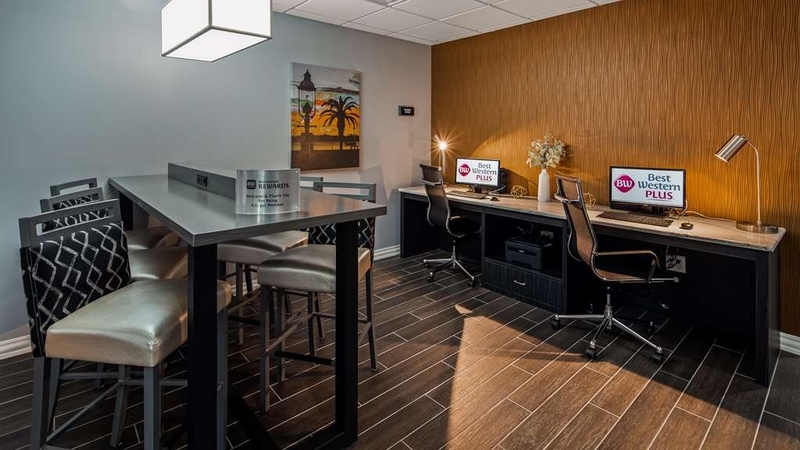 We are delighted that we could provide a perfect last-minute respite for you here at Best Western Plus St. Augustine I-95. Our team is proud to share our newly refreshed accommodations with you. Thank you for highlighting our breakfast as well! Come back and visit us again. Stayed one night with three people. Room was big with two queens in it and decor was nice. Everyone was nice at front desk to breakfast person. Ruby Tuesday was close by and outlet shopping if you have time. Had a nice stay with no problems and would book again if I needed to. It was an honor hosting you at Best Western Plus St. Augustine I-95! 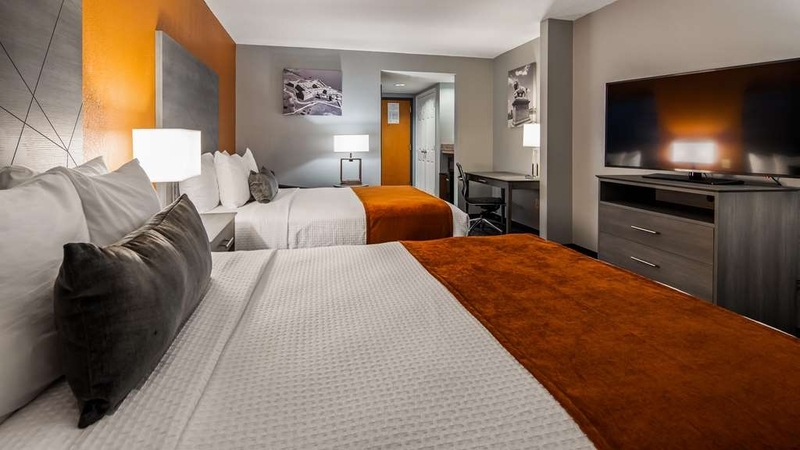 We're thrilled our spacious, comfortable rooms provided everyone with plenty of privacy and that you felt welcome while you were here. 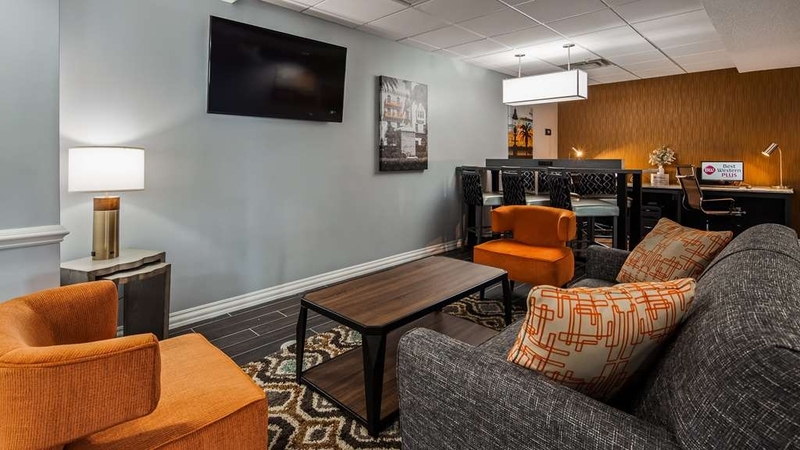 The next time you're looking for a convenient, inviting place to stay in town, please come see us again. "Value PLUS in St. Augustine"
This BW Plus hotel just off I-95 at St. Augustine was a welcome respite on a long road trip. The rooms are spacious, very clean, and tastefully appointed in greys with historic St. Augustine art mounted on the walls. The entire hotel seems to have been recently renovated. The business center off the lobby is much more extensive than most. And the complimentary breakfast includes good coffee as well as a fresh yogurt machine with all the trimmings including chocolate chips as well as granola in addition to the usual fare. This was value plus indeed. Dear Marie, Thank you for sharing your five-star feedback! 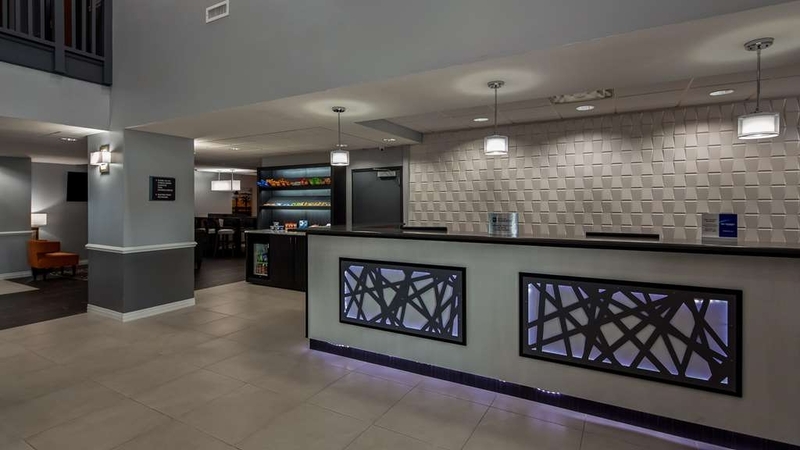 It is music to our ears to hear that you got a great value from your visit to Best Western Plus St. Augustine I-95! Thank you for detailing our clean and modern accommodations. 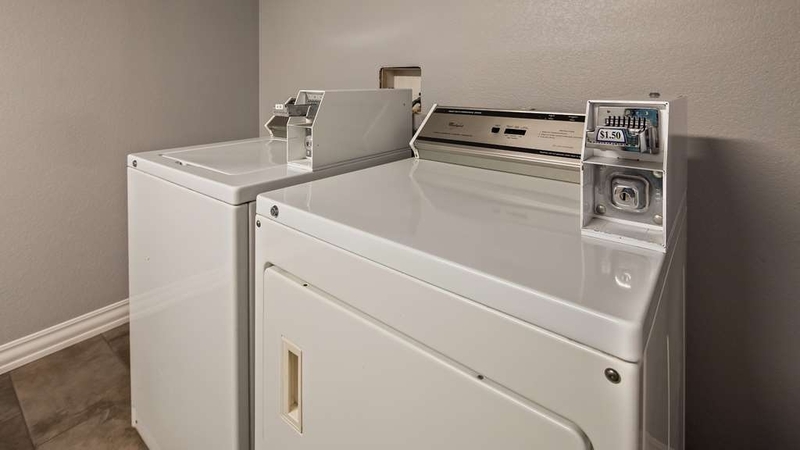 We pride ourselves on delivering a home away from home experience! It sounds like our breakfast was a particular hit. We'll mention your commendations to our dining team! Depend on us again when you are passing back through town. 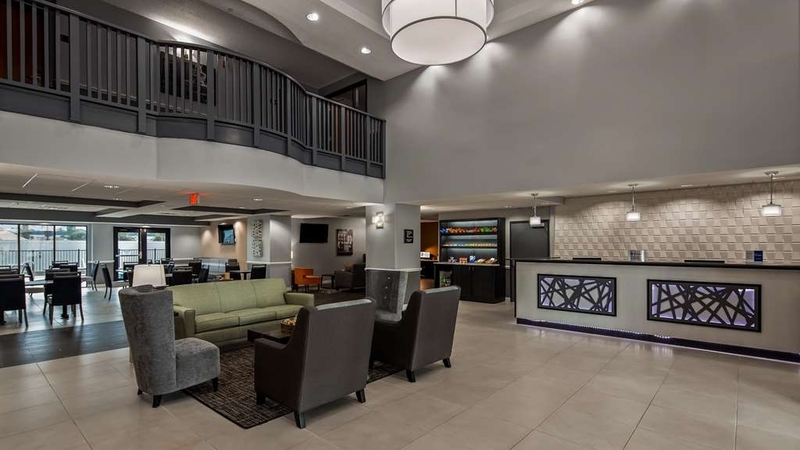 Dear Barry, We're thrilled to hear that you'll be considering Best Western for your future travel needs, and it's great to know that you enjoyed our recent renovations. Our hardworking team will also be happy to hear you also appreciated our well-maintained accommodations. 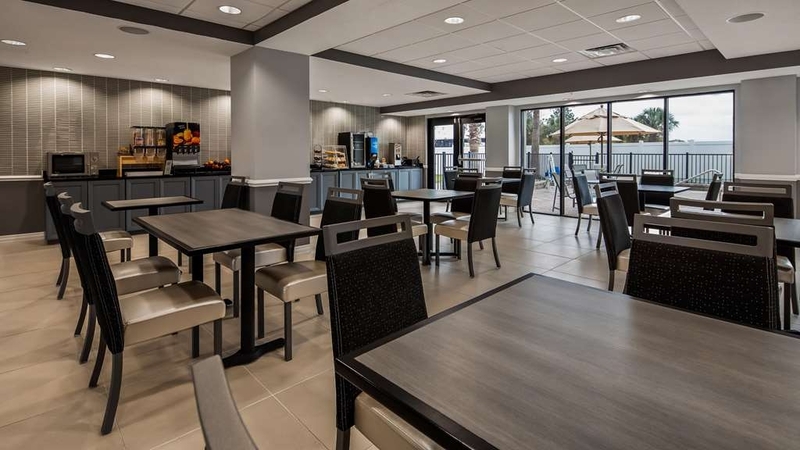 It would be a pleasure to host you for another five-star experience here at Best Western Plus St. Augustine I-95, come back soon! "Unplanned Stop, so glad we chose this place!" We were on our way to another destination, and it was late, so we stopped here. Best decision ever. The lobby was beautiful and comfortable, the room was immaculate. The lady at the desk was wonderful and friendly. She was concerned because we had chosen a "small king room", and offered us an upgrade. We told her it was a quick stay, and we'd be fine. As it turned out, the room was as large, and much nicer, than other places we stayed. 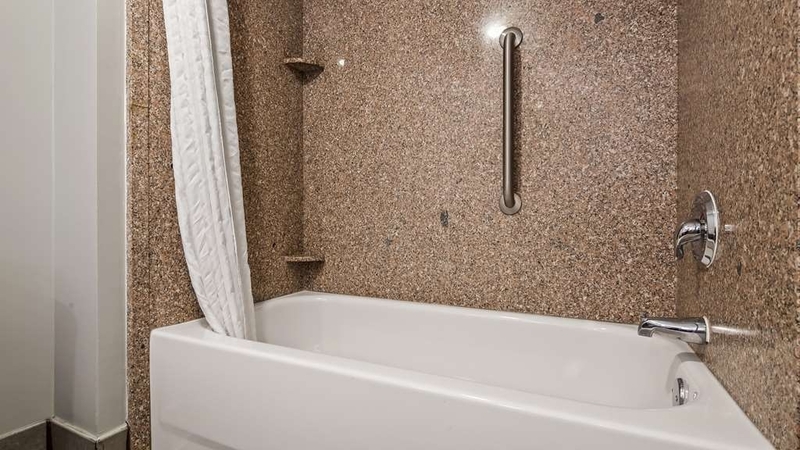 There is a barn style (sliding) door to the bathroom, and the bathroom has a toilet and shower stall. The sink is in the room. For us, this works great, and makes for efficient speed in getting ready in the morning. I was able to brush my teeth and do my hair without my husband being in the shower and fogging up the mirror. I really enjoyed my stay here, and if we are ever in the area again, this is where we will stay. Highly recommended! It truly brightens our day to hear that we were the perfect stop for you during your travels. 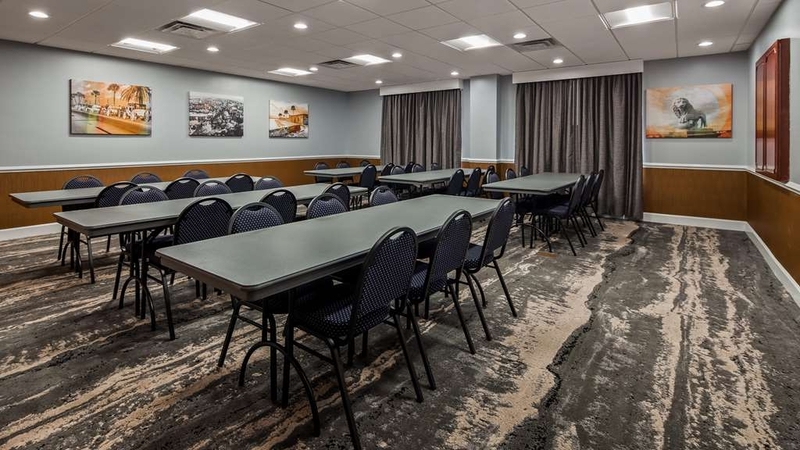 We can't wait to pass along your kind words regarding our staff, and we're happy to learn you enjoyed the layout of our clean, spacious rooms. It's also great to know you'll join us again when your journey brings you back to the area, and we wish you safe and happy travels along your way. Dear Tom, We want everyone who stays at Best Western Plus St. Augustine I-95 to have an excellent visit, so we're delighted that was the case with you. It's wonderful to hear that you had a restful visit and that our location was perfect for exploring the area. Please come see us again soon! The hotel is still under renovation and seems mismanaged. Renovating a hotel is a challenge. Unfortunately management is failing the challenge. 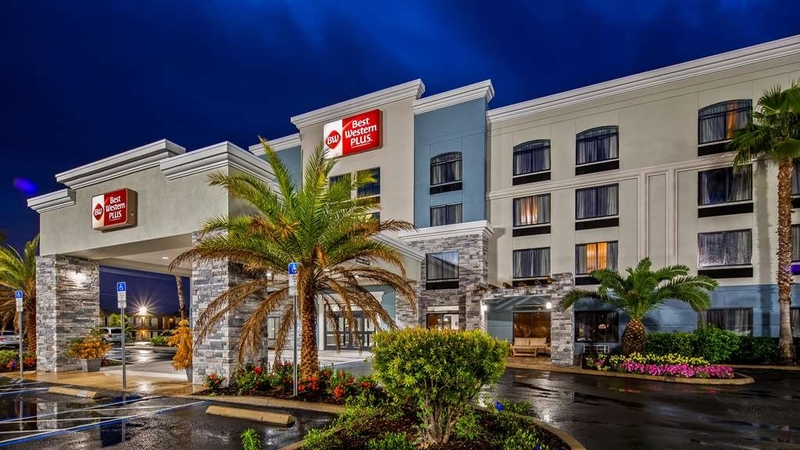 Hotel has a new paint job/new look and a new name: Best Western Plus. The flooring looks nice and new. We booked the Wingate by Wyndham which is close to I-95 and the outlet. We weren't told about the name change so we were confused when we pulled up. We heard several couples and families complaining about the same thing. The exterior was painted different and had the new hotel name. It would have been simple for someone to notify us of the name change, but no one bothered. The first set of room keys they provided didn't work at all, so they assigned us a new room which turned out to have been occupied when we opened the door. We were assigned a third room and given new keys at which point we finally got into a room. Despite all the upgrades the bed was far from comfortable. I suspect they are the old beds. We stayed 3 nights and had key issues requiring us to go back down to the lobby a ridiculous number of times during our stay. The clerk told us not to put the keys by anything magnetic, which we hadn't done in the first place. Our door stuck when opening requiring excess force, which made it a challenge for my wife to open. 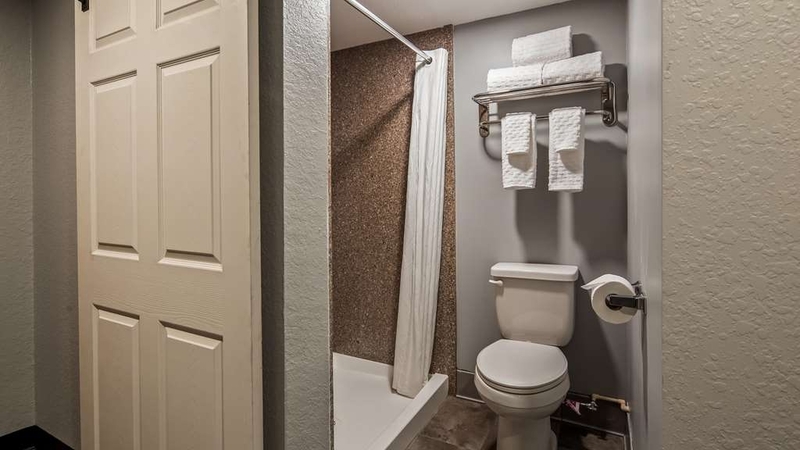 The bed and bathroom were relatively clean except the bathroom door which had what I assume were coffee or dark soda stains down the inside of the door. I didn't measure but I'd say they were over 4' long. Not sure how visible they are in the attached images, but they are highly visible to anyone who looks at the back of the door. The stains weren't cleaned the entire time we were there. Makes you wonder what else was never cleaned. The hotel provided small sized amenities, however the forgot one or two items on subsequent days after check-in. Faint new paint smells linger throughout parts of the building. Someone was working in the lobby one night as we returned. An older gentleman who I assume was a manager or owner rudely yelled at me to walk a different route. Warning customers of potential hazards is always a good move, but there is no need to be offensive/rude. Most hotels provide a breakfast. This hotel does also, but I've had better breakfast while serving in the Marine Corps and deployed in “the field”. The eggs were dry. Based on the flavor and consistency I assume they were powdered. There was no fruit and no potatoes served with breakfast. No hard boiled egg options. The apple juice tasted watered down. The orange juice was bland. OJ doesn't need to be “fresh squeezed” but should at least taste like OJ. Some of the tables were so wobbly my drink spilled if I bumped the table. How hard is it to level a table? I personally wouldn't go back because there are too many better options at lower prices in the area. I don't recommend staying here to anyone either. This Hotel was perfect for our needs as we did not want to stay in the centre of St. Augustine. The receptionist was so helpful and recommended various tours and eateries. The room was perfect with a view of the river. Breakfast was a little dull. Not much on the cooked side but there was plenty of cereal and fruit, so I did not go hungry. There was a lot of renovation going on but the workmen did not start until 8o'clock. We were up and out before they started drilling and hammering. We would certainly be back to this hotel next year. The hotel looks new and is currently being updated. We were in an updated room. The newly painted room and bathroom must have been painted by a 10 year old. The bath tube faucet leaked and I wouldn't hire the general contractor to paint my treehouse. Hotel is being renovated. We were initially assigned a room that was not renovated. Furnishing was heavily stained and torn. We had to request to moved to a renovated room that was clean and in good repair. This room was very clean. The bed slept wonderful! Would have given higher rating if we did not have to request to be moved. I'm sure Manager knew the initial room had not been renovated. the hotel is located fairly close to Downtown St Augustine. Very clean and great rooms. The staff is always accommodating and the breakfast was good. The area is right for travelers and state road 16 is right there.